MANILA October 10, 2016 (Bicol Standard) – The Philippine National Police (PNP) said yesterday that it has a news list of at least 30 celebrities believed to be involved or hooked on illegal drugs. 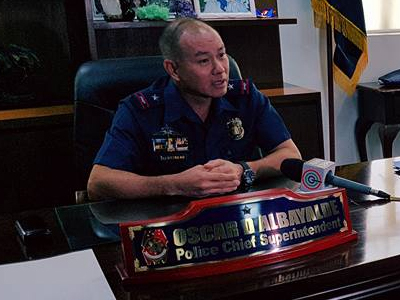 The said list was allegedly provided by Karen Bordador, a radio disc jockey who was arrested together with her boyfriend at their condominium in Pasig City, for possession of party drugs, Chief Supt Oscar Albayalde of the National Capital Region Police Office (NCRPO) declared yesterday. Albayalde also confirmed that there is an on-going process of revalidation through the various intelligence units specifically on the involvement of some entertainers who have been users of illegal drugs.